Don't forget about my giveaway in my previous post here. 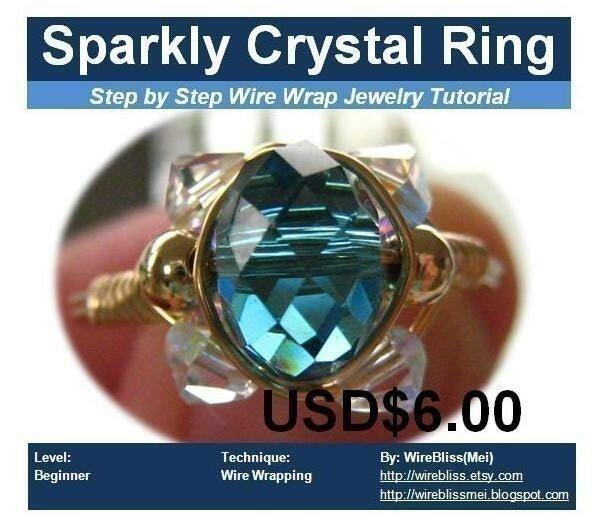 You'd have a chance to win my Sparkly Ring Tutorial. Let me know if you have problem commenting in my comment box by emailing me at meiky6@gmail.com. I have heard some of you having problem with the comment box. Here is my recently completed Meet Me Halfway Braided Wire Cuff, now halfway to its new owner. Slightly different from the previous one but still flows nicely :) Made for a size 5.2in wrist size. Tiny! tiny! Wow...that is a gorgeous cuff Mei...I know the recipient will be thrilled!!! Beautiful creations...You always inspire me and give new challenges...Thanks for sharing!!! yup..!!! i am thrilled..!! !hi everyone, i am the recipient..!!! Its really beautiful and gorgeous...!!! i love it...!! I love this cuff bracelet! Absolutely gorgeous!